Third edition of a text, first published in 1981, updated to include corrections and additions. Covers topics such as selection of materials, technique of applied mechanics and choice of electrical equipment. 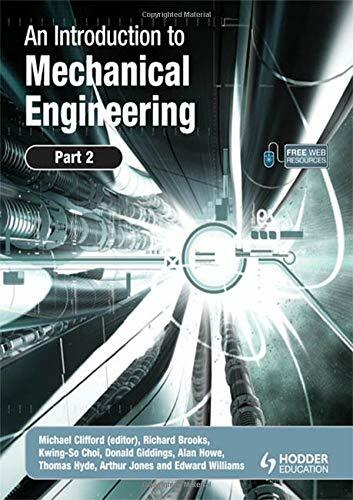 Useful reference for mechanical engineers, draftsmen, engineering teachers and students. Also available in paperback. The authors are qualified and experienced mechanical engineers. CHAPTER 1. FUNDAMENTAL DESIGN PRINCIPLES AND GENERAL DESIGN DATA. CHAPTER 9. WORK, ENERGY AND TORQUE. CHAPTER 12. 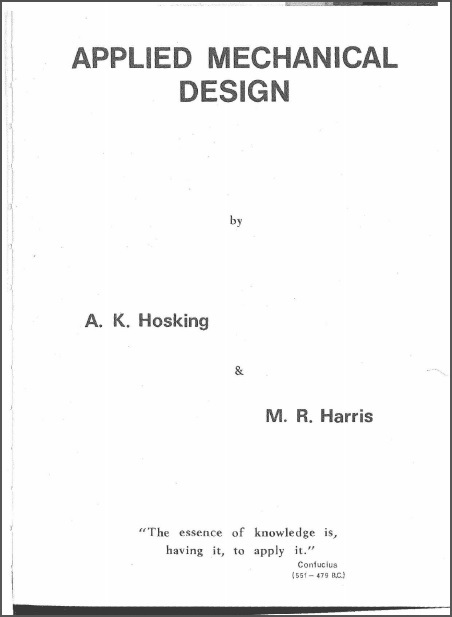 STRUCTURAL DESIGN TO AS 1250 - 1981. CHAPTER 17. CHOICE OF ELECTRICAL EQUIPMENT.